How does Tequila get to be so smooth? Casa Dragones is all about love. Love for Tequila, love for the craft and the love for the meticulous attention to detail that ensures the extraordinary sensory experience of the highest caliber. This independent, small-batch producer has the passion for creating exceptional sipping Tequilas renowned by Spirit aficionados everywhere. Each bottle is hand-signed and numbered, hallmarking their commitment to quality. The Casa Dragones Distillery sits in the highlands of Jalisco, surrounded by natural spring water and mature agave plants. We’re talking about the Trans-Mexican Volcanic Belt, one of the richest soils on earth, where the agaves are left to mature for eight to twelve years. Only the very best plants are then hand-selected and used in the production process. Amen! One thing we can safely say is that Casa Dragones isn’t afraid of breaking the tradition. Their Tequilas are manufactured in a thoroughly modern method which is supposed to eliminate impurities and harsh flavors. Instead of the conventional procedure of roasting and crushing the agave to extract the juices and sugars they send the raw agave to a diffusor which extracts the starches from the shredded agave by hot water. It is then distilled multiple times in a column-still after which it is filtered through a super sophisticated filtration system. This all seems very exciting. So, what’s the verdict? Well, the method obviously works since it produces an extremely smooth taste on the palate, followed by an even softer finish. It’s so smooth that even Oprah called it dangerous. 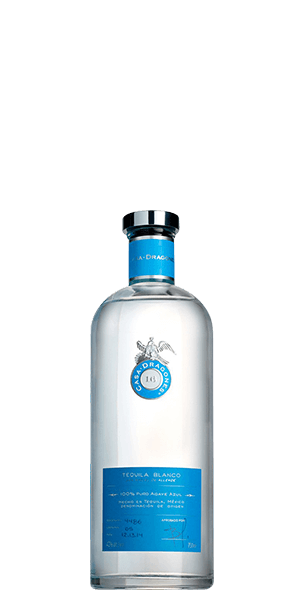 Named the “Best Blanco Tequila” by Epicurious, Casa Dragones Blanco is 100% Pure Blue Agave silver tequila. The innovative manufacturing process that focuses on purity allows for the true essence of agave to shine through. The end result is a compliment to the plant, the Jalisco surroundings and Tequila itself. Add a bit of that love we mentioned at the beginning of the story, and you have a winner on your hands - the crisp, smooth Spirit is perfect to enjoy neat, on the rocks or in your favorite cocktail. The hearts wants what it wants. What does Casa Dragones Tequila Blanco taste like? The Flavor Spiral™ shows the most common flavors that you'll taste in Casa Dragones Tequila Blanco and gives you a chance to have a taste of it before actually tasting it. Best silver tequila I've had... perfect with a squeeze of lime in a chilled glass. Smoothest blanco tequila I've ever had. It surprised me with it's smoothness. Next time somebody tells you how good Patron is, pick up a bottle of this and you won't turn back! Really enjoyed this tequila had a little kick but no bite on the back end. Had a nice clean buzz with no real residual effects after u wake up, I sipped it chilled straight up, no chase so I didn't have the extra sugar to deal with. Over all I fell this is in the top four tequilas I have ever drank and will purchase it again. I am a whiskey/bourbon guy, starting to venture into tequilas. No question this is the best tequila i have ever had. Another one "hidden" from visitors. I am a Blanco tequila lover, and this is the best, smoothest tequila I have ever had. It is great to sip by itself on a 2" rocks cube/sphere, or great for using in high-end craft cocktails. Go to their website & they have the ingredients for craft cocktails using the tequila from high end bars & restaurants around the world. The Mother of Dragons is a personal favorite & one of the simpler ones to make at home. I love this tequila. It has hints of citrus and a tropical fruit aftertaste. Not only that it looks gorgeous. I'm a stickler for presentation and this bottle with the engraved lettering and seal, plus the heavy metal cap just make this a personal favorite.